pianoknight had the most liked content! Well, Mike Riley will probably wind up in Corvallis for a 15th time so this fits with his, "gee golly" persona. Probably the same guy who made the Oregon State Training Bras. Unpopular opinion - after a day to process it, I like the new Michigan State uniform colors. Not a fan of how big the STATE wordmark is, but if they reduced that to fit within the chest area, I'd actually like the whole thing. The neon green and forest green aren't as ugly as I initially thought. Not a fan of the yellow. I liked Baylor's older football uniforms from around 2008. I'm glad college football is largely immune to this. 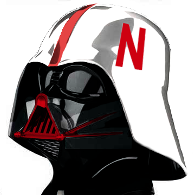 If Nebraska ever renames Memorial Stadium, heads will roll. And back in the day, the naming rights was just a one-and-done deal. You helped pay for the stadium, you got the name. Today, it's become much more contract-y with companies getting rights for a specific period of time. It's like the sponsor creep in college bowl games. You wind up with something like: Samsung presents the State Farm showing of the 12th annual Uber Doritos Bowl, brought to you by Coke Zero. George Washington for Not Britain. Exactly my thoughts. Perfect logo if you're called the Cleveland Battalion or something with either a military or astronomy name. Western Union. The fastest way to send money... to a Nigerian Prince. Busch Stadium (all of them) with the Cardinals is similar. Yes, it's corporate, but Anheiser-Busch has been a community staple in STL for generations. At this point, it feels less like a sponsored name and more like Fenway or Yankee Stadium. Opposed to Arrowhead Stadium of Chiefs?